Enjoy Fast Oil Changes and Summer Maintenance Services at Meador Dodge Chrysler Jeep Ram! 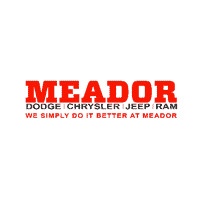 New Chrysler, Dodge, Jeep, Ram Models, Used Vehicles, Service and Genuine OEM Parts Near Burleson, TX at Meador Dodge Chrysler Jeep Ram! Why Use Genuine Mopar Parts Rather Than Aftermarket Parts When Repairing Your Vehicle?